Sellware now supports NetSuite’s upcoming two-factor authentication (2FA) requirement for highly privileged roles, affecting SuiteTalk (web services) integrations and RESTlets. If you have received a notice from NetSuite regarding the upcoming two-factor authentication (2FA) requirement for highly privileged roles that will affect SuiteTalk (web services) integrations and RESTlets, you may want to reach out to the Sellware Marketplace team, to optimize your Amazon, eBay, and Walmart channel integrations. As documented in NetSuite’s 2018.2 Release Notes and help topics, 2FA is mandatory for highly privileged roles, both for access to the NetSuite UI and for integrations that use highly privileged roles for API access to NetSuite. Sellware has update our marketplace integration, to support these new NetSuite authentication requirements, using a token based authentication configuration. Additional details on setting up the Token Based Authentications can be found on our knowledge base here. You are allowed more concurrent connections within NetSuite when using Token Based Authentication. 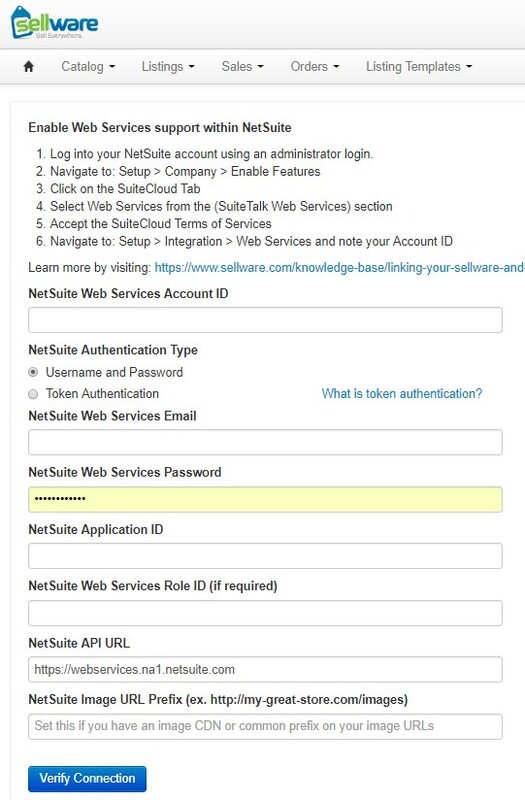 Compliance with NetSuite 2FA and RESTlets (NLAuth) guidelines for web service integrations using the passport object with the login operation or with Request Level Credentials (RLC) is achieved. A more secure NetSuite Login and Authentication is supported. You must make changes to your integrations before 2019.1. Sellware has provided detailed instructions on how to implement this change to leverage the new Token Based Authentications on our knowledge bank. For additional information on the benefits of using this Token Based Authentication, feel free to contact your Account Representative at (919) 238-1400.